1st offpsring at 2 weeks old! We love Snowmass Golden Victory and what he brings to our breeding program! 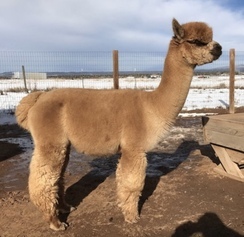 You can see his awesome looks, but there is way more to him then just good looks, he has incredible fleece you’ll want to bury your face in! Golden Victory will be a great asset to cross with our CCNF Andean Fury line. Just to give you an idea of the thoughtful genetic matching behind Golden Victory, his Sire is Snowmass Royal Challenger with Snowmass Royal Rose, Peruvian Hemingway, Peruvian Bueno, Legacy Gold, Legacy and Chaccu in his pedigree! "Snowmass Golden Victory is a stunning example of a superior colored stud male. 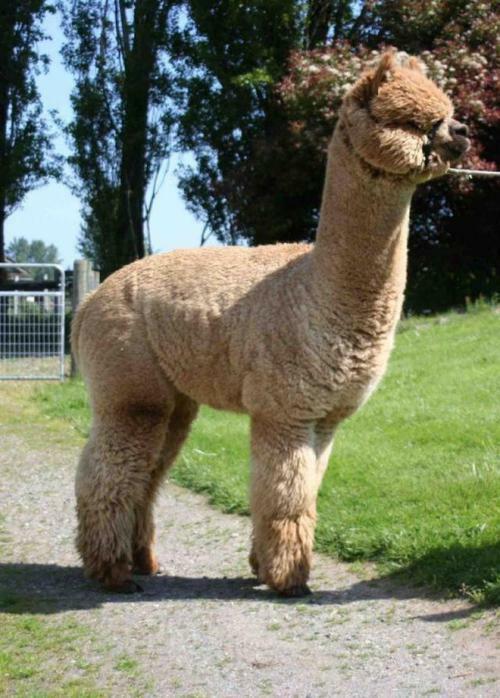 He has a gorgeous strong well balanced frame which is blanketed with Royal fine medium fawn fleece from head to toe. This is not just fantastic fluke, this is a highly heritable trait which you will see in his Sire Snowmass Challenger his sire Snowmass Royal Rose and then Back to Peruvian Hemingway and Peruvian Bueno. His Dam is right in line with same qualities and looks. Her sire is Snowmass Legacy Gold, who goes back to Accoyo Legacy and 5Peruvian Chaccu. 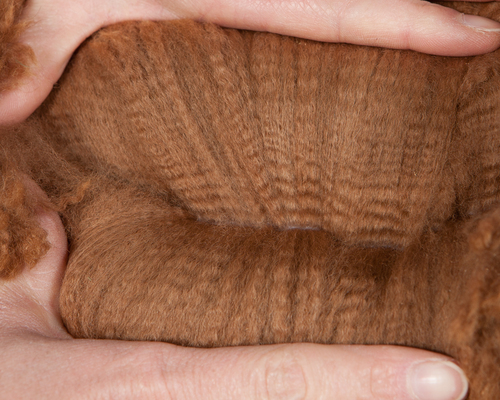 In Fact every alpaca in this studs pedigree is outstanding! 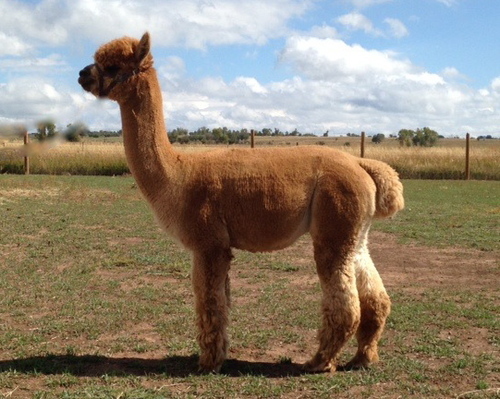 He has the most gorgeous buttery Merino-Vicuna fleece type which is fine, dense, uniform, and simply beautiful." Snowmass Golden Victory has made such a significant impact on our herd. He has passed on his great looks, coverage, brightness and made an improvement on every dam he has been bred to. 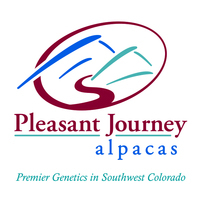 Symphony has earned a strong place in the breeding line for Pleasant Journey Alpacas. 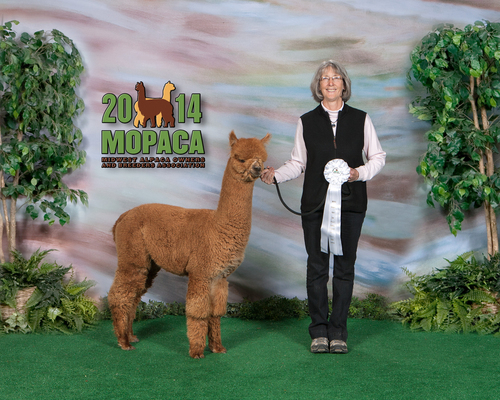 She has proven to be a great dam by giving us PJA Golden Victory's Kiowa and her 2014 cria is Rhapsody. We liked what we saw in Kiowa and chose to rebreed Symphony to the same sire and are even more thrilled with Rhapsody! So, the choice for 2015 was Golden Sentry (1/2 brother to Golden Victory). 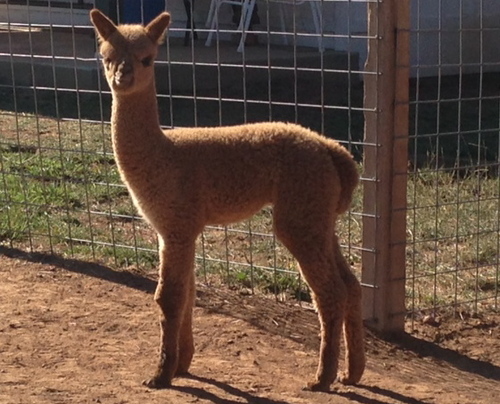 It is not too often that you find such an upright presence and correct conformation on a juvenile alpaca. But, take a look at Kiowa and you will find the presence and conformation. Oh and did we mention a very nice juvie fleece to go along with this? Soft, bright and crimpy and showing a great density! Kiowa maintains that wonderful stature and has great bone, balance and fleece to make package. Kiowa is a stunning male! This Snowmass Golden Victory son brings the package! Golden Victory stamps a certain look and quality to his offspring and Kiowa maintains this look and quality. Look at his dam's background as well and you will see Caligula's Accoyo Poseidon. The combo of sire and dam was a good breeding choice. So much so that we opted to do it all over again! Kiowa's first offpsring for us hit the ground in Aug 2016 and we are WOWED!! The head style is coming thru from Kiowa and his sire Golden Victory. Impressed with his son Raider(sold) and daughters PJA's Karina and PJA Clancy My Girl!! Kiowa is throwing gorgeous!!! Head styles and conformation on offspring is spot on! His offspring are showing beautiful fleece with fineness and character. Looking for a male to put "the head" on a cria - here is your guy!!!! Second Place- GWAS 2016- Level V show- Helen Testa- loved his stature and bone!